The King William Strip King William on either side of Hughson, is developing into a flourishing strip of cafés, clubs and restaurants. Since moving from its original King St. East location, Club Absinthe has been attracting good-sized crowds at 38 King William (site of the old Pepper Jack Café). It is best known for its Motown on Wednesdays (a DJ night filled with retro music from the ’60s and ’70s) and a home for contemporary/progressive metal bands. clubabsinthe.ca. The new kids on the block are Homegrown Hamilton and the Baltimore House. Both feature light menus and an eclectic array of live entertainment most evenings. A video about Ronald Weihs and Judith Sandiford at Artword Artbar by Francis Fiction, published June 2, 2013. Artword Artbar and Artword Gallery, at 15 Colbourne Street, off James Street North in Hamilton, is Artword Theatre’s new project in Hamilton. In August 2009 we bought a lovely neighbourhood bar in the James North Arts District. We’re turning it into an arts hub, a meeting place for artists, a live music venue, and an art gallery. We’ll be part of the James North Arts Crawl. Artword is the name used by Judith Sandiford and Ronald Weihs for their activities in the arts, spanning almost twenty years. Artword has been the name of an art magazine, a theatre company, a small experimental theatre space, and a large arts complex in downtown Toronto. Artword Theatre and Gallery in Toronto included a 150-seat theatre, an smaller space for experimental work (The Artword Alternative) and a large gallery space. In 2006, Artword’s leased building was sold for condominium development. 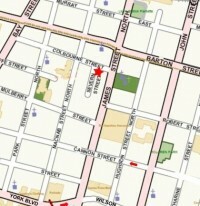 In 2007, Sandiford and Weihs moved to Hamilton, where they looked for a property suitable for development as a theatre. At that time, Sandiford and Weihs set up a non-profit corporation specifically to develop works of theatre, called Artword Cultural Projects. They produced a workshop in Toronto of a musical play called Ghost Ship. They also remounted If Cows Could Fly and played it in Hamilton, Ottawa (for three weeks at the Irving Greenberg Theatre Centre), Toronto (at the Ashkenaz Festival) and once again in Hamilton. In 2008 Artword formed an informal strategic alliance with Gary Santucci and Barbara Milne, who operate a performance facility and gallery in Hamilton called The Pearl Company. Artword produced four original works of theatre from October 2008 to April 2009, touring the last play to Delhi Ontario in early July, 2009. However, the dream of buying a building in Hamilton that could be converted to a theatre has proved elusive, for a number of complex reasons. 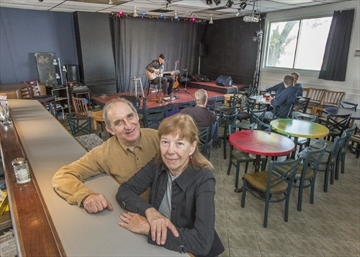 It has also become clear that the best location for a new arts facility is in the burgeoning arts district along James Street North, in what the city calls Jamesville. 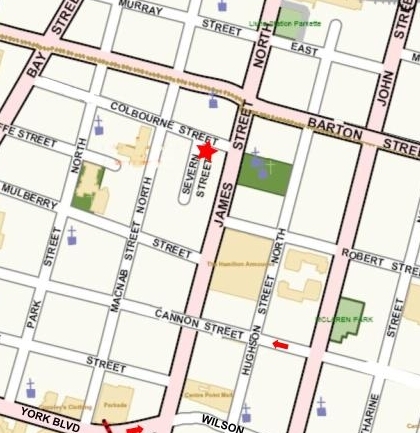 A small bar became available on Colbourne Street, just a few hundred yards west of James Street North. It is a free-standing building on its own lot, in excellent condition, attractive and in a superb location. The opportunity to take over an existing bar, that can be a hub for the creative energies presently emerging on James Street North, is too good to pass up.